Phil and Claire have been working together since April 2003. Their duo was formed after Claire was overheard arguing with a tenor that baritones were far superior and Phil realised that she would make the perfect accompanist. They are happily married, and have a daughter who will no doubt make an appearance turning pages at some point… They perform throughout the UK and Europe. Welsh baritone Phil Gault has performed internationally, in roles ranging from Don Giovanni and King Roger, to the Count, Dandini, King Roger, Escamillo, and even Carmen in the critically acclaimed all-male CarMen. 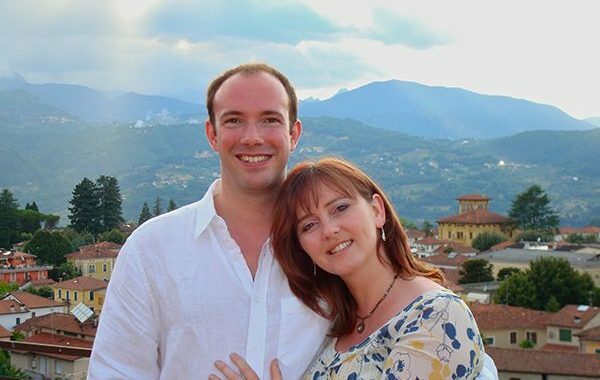 He has performed with Scottish Opera, Opera North, Heritage Opera, Buxton Festival Opera, Northampton Festival Opera, and Secret Opera, is principal baritone for Opera on a Shoestring, co-founded Black Sheep Opera, and is a Samling and a Crear artist. Other rôles include Nabucco, Tarquinius, Junius, Nick Shadow, Angelotti, Morales, El Dancaïro, and Chao Lin (A Night at the Chinese Opera). Phil has performed recitals in the Usher Hall, the Wales Millennium Centre, the Riverfront Centre and Paxton House, and is an aLuMNus of Yehudi Menuhin’s Live Music Now! scheme. His song repertory includes Dichterliebe, Chansons Gaillardes, Songs of Travel, Italienisches Liederbuch, and A Shropshire Lad, and his oratorio repertoire ranges from Carmina Burana and A Sea Symphony to the Bach Passions and cantatas, in venues from the Glasgow Royal Concert Hall and the Usher Hall, to the Sheldonian Theatre, Oxford. TV includes live broadcast recordings of the title roles in the award nominated Macbeth and Barbwr Sefil with Opra Cymru, and audio includes Breathe Freely (Wagstaff), A Brontë Mass (Wilby), and A Breathless Alleluia (Wilby), the latter two with the Black Dyke Band. Claire Haslin (piano) comes from Glasgow, where she studied at the Royal Scottish Academy of Music and Drama with Jean Hutchison. There she won prizes for Solo and Chamber music, including the Peter Morrison Prize for All Round Excellence and represented the Academy in recital tours of Iceland and Russia. Claire then completed the Advanced Solo Studies course at the Guildhall School of Music and Drama, studying with Paul Roberts, and whilst there was chosen to represent the college in the Paxos Chamber Music Festival. In 1997 she won the prestigious Sir Henry Richardson Award for piano accompaniment, and she has subsequently performed throughout Britain and Europe, including at the Purcell Room (London), the Edinburgh Festival, the Montalcino Festival in Italy and the Queen’s Hall (Edinburgh). Claire is very active both as an instrumental and song accompanist encompassing a wide variety of music, from accompanying Ann Murray at the Vivartes Festival in Surrey and Christine Cairns at an Opera Gala in Ayr, to touring Switzerland with a group of cabaret singers and playing chamber music recitals for music societies throughout Scotland, performing regularly as a member of Trio Ecossaise and the Kilnaish Duo, as well as accompanying Phil. Claire has been a staff repetiteur at Scottish Opera, a Crear Scholar, and holds accompaniment and teaching posts at the Royal Conservatoire of Scotland, Glasgow University music department, and the music school of Douglas Academy, as well as accompanying the NYCoS Training Choir. Posted in Cinema, Season 2018 - 19.